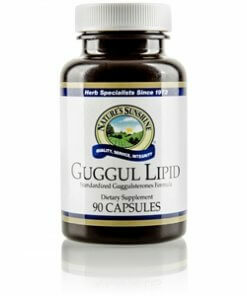 Nature’s Sunshine Gugul Lipid regulates healthy triglyceride and cholesterol levels. Extracted from the sticky resin of Northern India’s mukul myrrh tree, gugul lipid normalizes blood viscosity while treating rheumatoid arthritis, relieving skin disorders, and alleviating urinary tract infections. 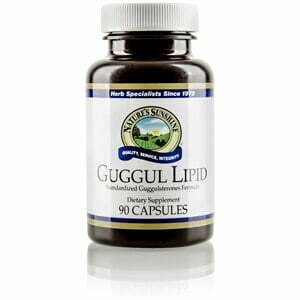 Each tablet is made from the highest quality ingredients and contains 1000mg of gugul lipid. Every two tablets contains 25 mg of gugulsterones, active compounds with medicinal value. Cellulose (plant fiber), capsule (gelatin, water), magnesium stearate (vegetable), silicon dioxide (powdered silica).